Flexible aluminum fans eliminate the need a fan clutch and feature aluminum blades with a steel star. PitStopUSA.com carries aluminum fans to help your race car keep it's cool. Pit Stop USA sells all the products you need for your 3/4 and 1-ton GMC or Chevrolet Trucks including Clutches and Components. Pit Stop USA sells all the products you need for your 3/4 and 1-ton GMC or Chevrolet Trucks including Manual Transmissions and Components. Clutch Alignment Tools from PitStopUSA.com are used to quickly and properly align the clutch discs when rebuilding or servicing a clutch. 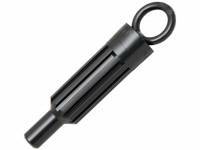 They are available in a variety of popular input shaft sizes. Centerforce Clutch Alignment Tool - Diameter: 0.39"
Centerforce Clutch Alignment Tool - Diameter: 0.67"
Centerforce Clutch Alignment Tool - Diameter: 0.75"
Centerforce Clutch Alignment Tool - Diameter: 0.82"
Centerforce Clutch Alignment Tool - Diameter: 15/32"
Centerforce Clutch Alignment Tool - Diameter: 19/32"
Centerforce Clutch Disc - Size: 10 in. 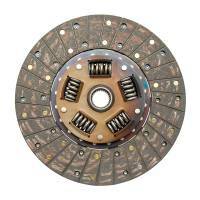 Centerforce Clutch Disc - Size: 10.4 in. Midway Industries Centerforce ® division is proud to be recognized as the leading manufacturer of performance clutch and pressure plate systems in the United States. Centerforce’s reputation as the clutch system of choice stretches back to the early 1980’s when legendary Hot Rodder, founder of Hays clutches, and SEMA Hall of Fame member, Bill Hays sought to cure problems with existing designs while developing a competition-rated clutch/pressure plate system suitable for use with non-asbestos friction facings. 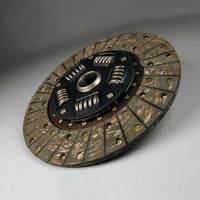 Bill’s remarkable innovation was soon patented as the Centerforce Weighted Clutch System. The Centerforce design applies proven principles of weight and centrifugal force to develop the increased clamping loads modern clutch facings require while maintaining easy pedal effort and eliminating old-style diaphragm “over-center” problems disastrous to high-performance engines. In 1982, the Hays family founded Midway Industries, Inc. to meet growing national demand for Centerforce products. Subsequent invention and patents covering the Centerforce II, Centerforce Dual Friction ®, Centerforce LMC, DFX ® Series Clutch Systems, and DYAD Drive System ® (DS) demonstrate the commitment to quality, continuous research, and new product development have propelled Centerforce products to be the industry leaders they are today. Midway Industries has been a long time member and supporter of both SEMA and PWA. Representative awards include SEMA and Hot Rod Magazine’s Best New Performance Street Award for the Centerforce Dual Friction Clutch System. Nominated several times for PWA’s Manufacturer of the Year, Midway’s Centerforce division won the prestigious award in 1998. 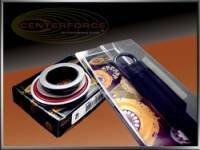 Centerforce products have likewise collected numerous other new product and packaging awards while striving to continue that legacy. Starting from a small speed shop in Midway City, California, the Centerforce brand has earned a well-deserved reputation for reliability, quality, and durability where ever superior clutch performance and easy operation are preferred. Midway Industries has always been responsive to customer demand, with continuous investment in state of the art technology, research, and quality control. When expansion was needed Bill’s Family and the entire Midway team sought out the ideal location for its employees and growth, eventually selecting Prescott, Arizona for construction of a new 48,000 square foot manufacturing facility. The move was nearly transparent, with over 90% of the Centerforce team moving to Prescott. First and foremost, Midway Industries and Centerforce are proud to be a three-generation family owned business. A true family run and operated company; headquartered and manufactured exclusively in Prescott, Arizona, Centerforce products can be found around the world and in just about any type of vehicle. 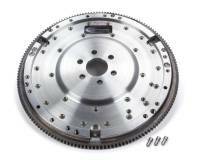 Commitment to create the highest quality and most innovative products available, Centerforce clutch systems are the performance enthusiast’s first choice and can be found on leading OEM and customized vehicles worldwide.